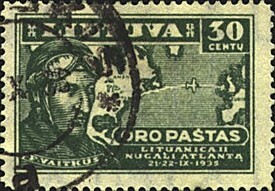 In 1935, bad weather conditions forced Lithuanian pilot Felix Waitkus to make an emergency landing just outside Ballinrobe in his plane Lituanica II. 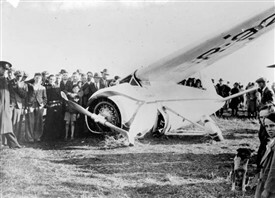 This was a with a single engine, single seat airplane. 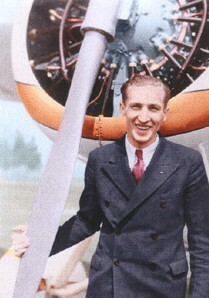 He had earlier taken off from New York, and was the only solo pilot to cross the Atlantic that year, and the sixth ever in aviation history. 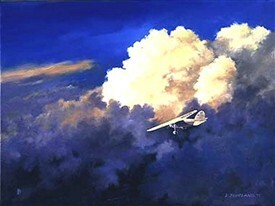 Waitkus fought terrible weather conditions and was helped considerably by hourly broadcasts from an Irish radio station. 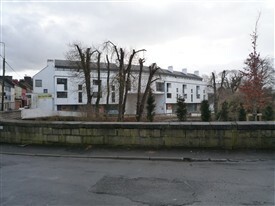 Renewed interest in the Waitkus’ story arose as a result of many years of research by David Hall and Patsy Murphy, Ballinrobe. They have contributed significantly in raising awareness of the story, and organising the festivals over the past three years. Ballinrobe has hosted Ireland’s Lithuanian Community for these annual festivals which provided the impetus for a formal Twinning arrangement with the city of Jonava, the ninth largest in Lithuania which took place in 2010, and again David and Patsy contributed to the organizing of this project. Just a correction and to point out the renewed interest in Felix Waitkus came about owing to the many years of research by Patsy Murphy and by him and I getting involved in the project and this led to the festival being held for the past three years in Ballinrobe which culminated in the 75th anniversary festival last year which was shown on prime time television in Lithuania recently and will be shown in Ballinrobe in September next when a copy will be presented to the committee. Thanks David for your comment. We would love to hear about the research and indeed all the work both yourself and Patsy have done over the years to promote Felix Waitkus's memory and the very successful festivals. Would you like to add a story or information on the festival or indeed on Felix Waitkus? We would be very happy to publish it for you.